Callaway Golf recently announced a partnership with famous automobile maker Lamborghini. You can read about that alliance by clicking here. Right on the heels of that announcement, Callaway released news and information about their upcoming new driver scheduled for release soon. Introducing Forged Composite, a revolutionary new material that is lighter, stronger than titanium. 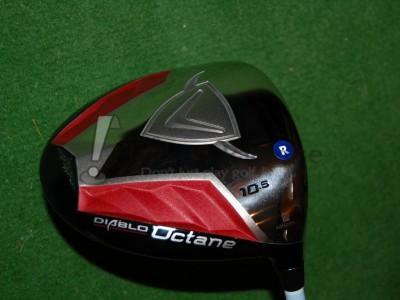 The Diablo Octane crown is made up of more than 10 million individual turbostratic carbon fibers, creating a lighter clubhead that retains an extremely high MOI. The lighter weight also allows for a longer shaft that generates faster clubhead and ball speeds that add up to an average of 8 extra yards off the tee compared to the Diablo Edge Driver. That’s performance an all-titanium driver just can’t match. The readers that were able to attend the recent THP Golf Outing & Demo Day were able to give these clubs a try before release. You can read all about their feedback of the drivers and fairway woods as well as see plenty of more pictures right here in the THP Forum. I am really liking what I have already read about this driver and I can’t wait till I can demo it at the store to see what kind of numbers that i get. i think it’s fantastic that the regular version and the tour version are looking at a retail price of $299. that’s a lot of bang for the buck, considering just how much technology is packed into this driver. 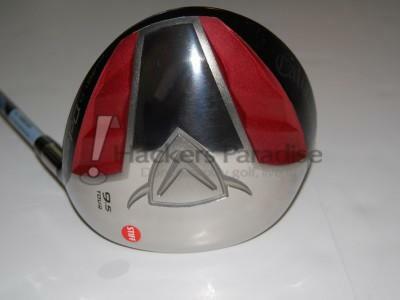 i do wonder if the regular head (non tour) version can be ordered with the PX shaft and still be priced @ $299? if so, the octane could see some great success!